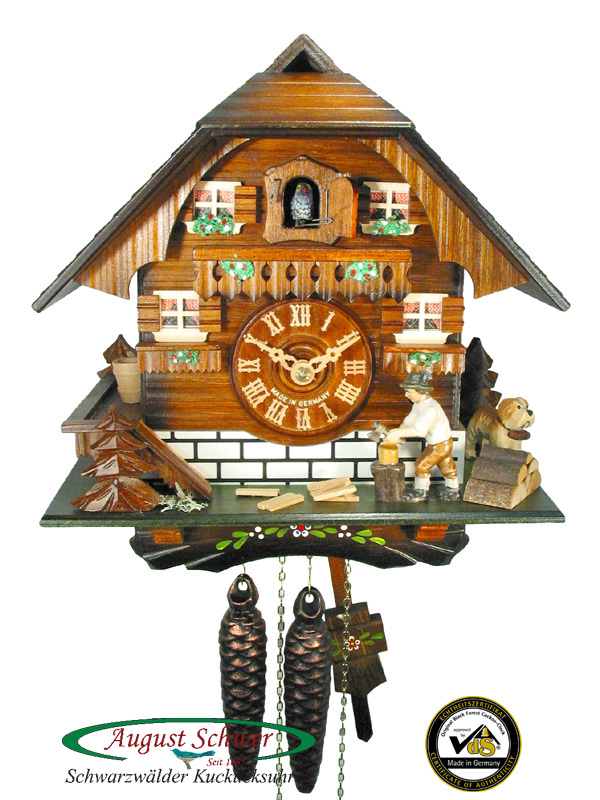 Cuckoo Clock with 1-day movement / running time (mechanical) with moving wood chopper. 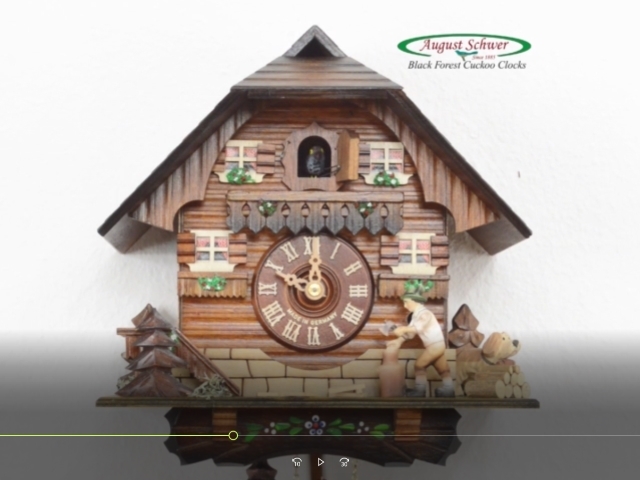 This is a beautiful little Black Forest Chalet. The base of the house is in imitation of local Black Forest houses painted like a stone wall. The upper storeys are made of wood. The roof is coming very far down, both to the front and to the sides, just like real Black Forest farm houses, to cope with the large amounts of snow in winter. This clock has a moving wood chopper. The figurine on the front of the clock lifts his arm with the chiming of the clock and hits the wood log with the axe.